AD: We were invited to Squires Garden Centre in Stanmore to try out their Easter children’s activities. Full disclosure at end of post. First morning of the school Easter holidays and I woke to the sound of a baby crying and rain hitting our bedroom window. Looking outside you could only just see the houses opposite thanks to the fog that had been lingering there all night. Normally all this would fill me with horror, but this time around I was the super organised mum who had a wet weather plan up her sleeve ready for such an eventuality. Bundling the kids in the car we headed off down the M1 to Squires Garden Centre in Stanmore. 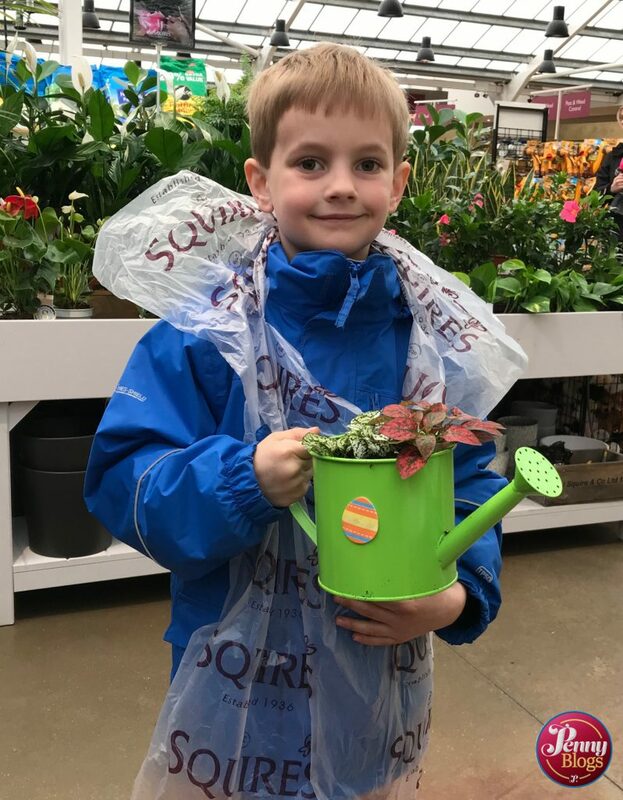 Until I had a house and children I have to admit that I thought garden centres were places that pensioners went to as a way of filling their days. How wrong I was! Now, they’re exactly the kind of place that I take the kids to for a good morning out. Especially during the school holidays. 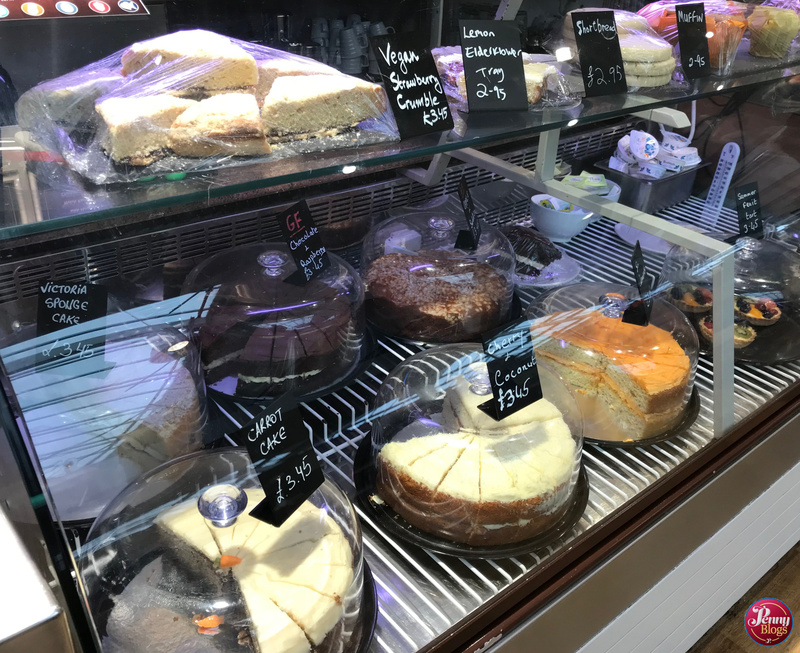 We hadn’t been to Squires before, and as I found myself driving up the drive of their Stanmore garden centre I found myself wondering why. It’s really not at all far from where I live, it’s easy to get to from the M1 and A41 and it’s also very close to where my step-daughter goes to a weekend drama class. As I pulled up I was instantly rather impressed by the place. So many garden centres seem to have a bit of a shabby car park with sun-faded signs and a random assortment of trolleys that all look like they’ve seen better days. Squires couldn’t have been any more different. Everything was smart and tidy and looked very well cared for. We parked up and headed inside and I was delighted to see that my strong first impression of Squires was spot on. 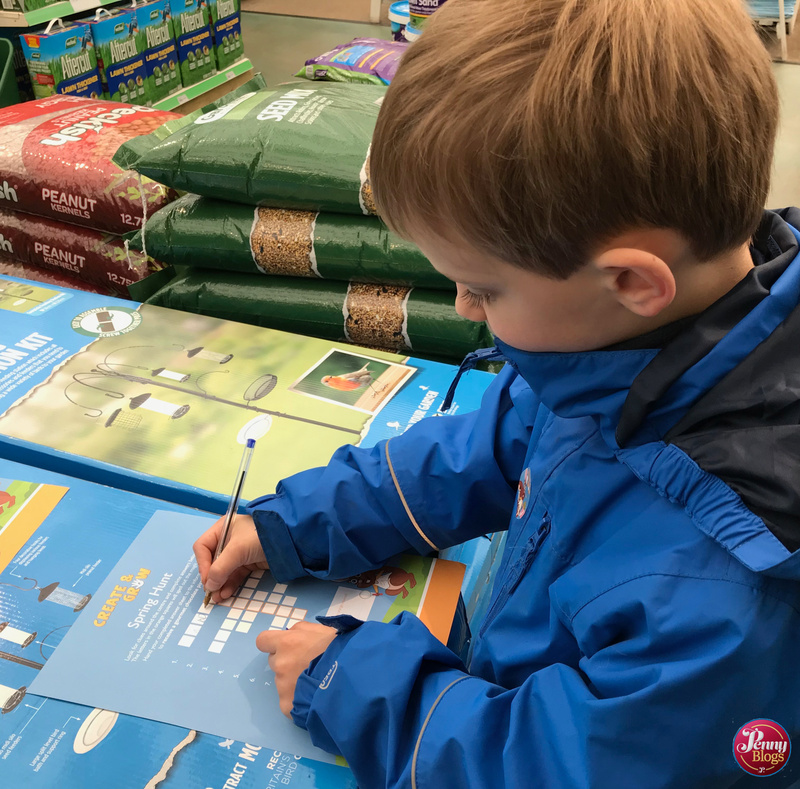 We had been invited to Squires Garden Centre to try out their Easter children’s activities. Each holiday they run something different for children and this year they are invited to plant an Easter container (either a colourful watering can or bucket) with succulents. 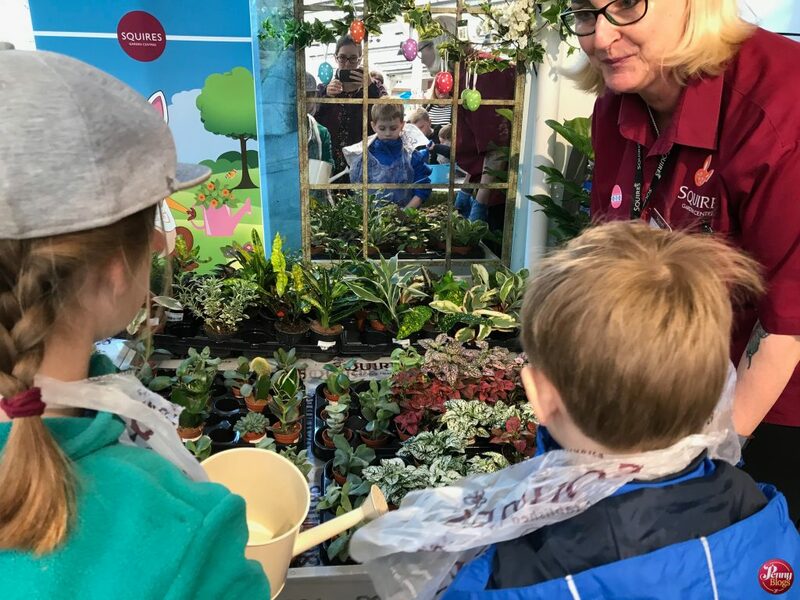 And if that wasn’t enough they can also go on a spring treasure hunt around the garden centre finding clues which lead them to a magic word which can be exchanged for a gourmet chocolate pizza slice. Little Miss C was thrilled about the idea of a spot of gardening (she gets her green fingers from her Dad, not me!) and Master C was focussed somewhat more on the chocolate! 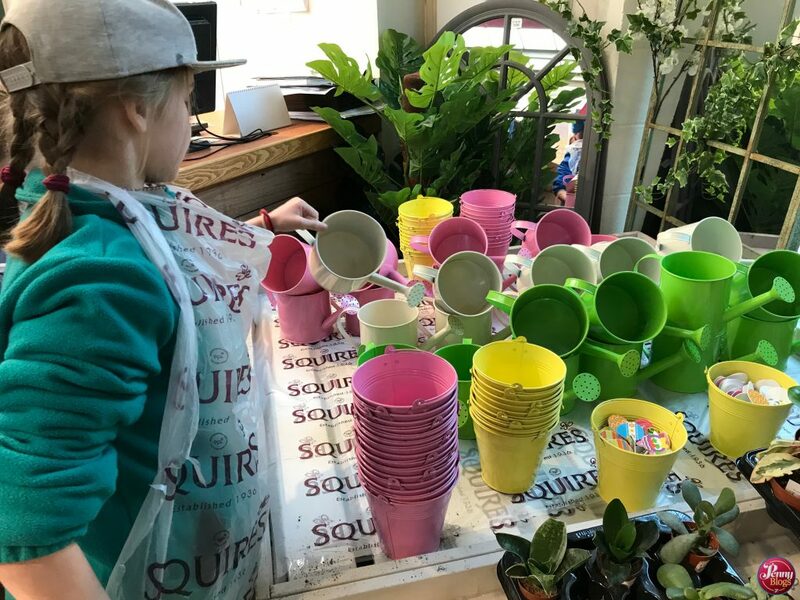 Both children were provided with plastic aprons to protect their clothes, and then invited to pick out a container for their Easter planting. There were a selection of metal watering cans and buckets to choose from and both of mine were instantly attracted to the watering cans. They then also got to choose what plant(s) they wanted to go inside. LMC selected one larger succulent, whilst Master C went for two contrasting ones. If I’d been clever (and not distracted by a hungry Tube Stop Baby) I’d have asked exactly what plants they were, but I’m hoping my green fingered mother can provide that added bit of information in the comments below when she reads this post! 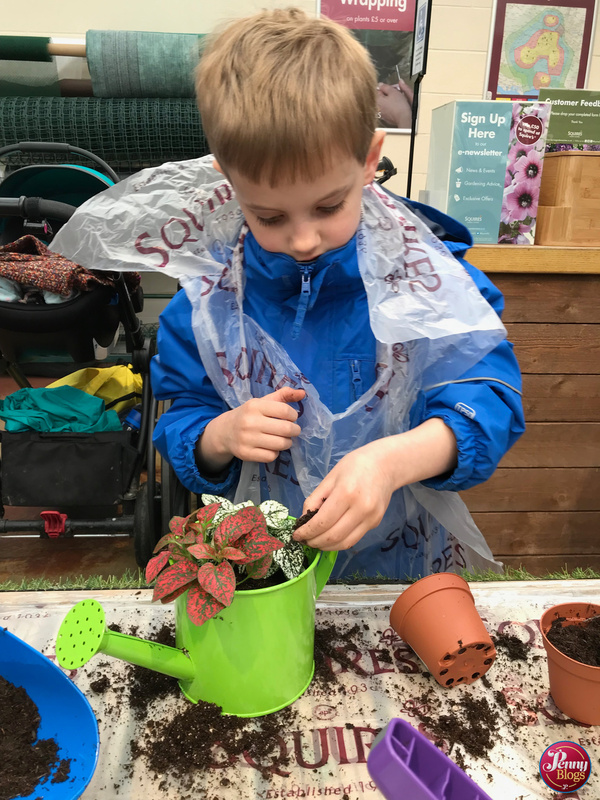 The kids were then shown how to release their chosen plans from the pots without damaging their roots, and told what they needed to do to plant them in their watering cans. There was a low down table set out for them with small trugs of compost in the middle and scoops they could use to get it. Everything just seemed so well thought out with plastic coverings, baby wipes for dirty hands and a member of staff armed with a dustpan and brush for compost spills from overenthusiastic little hands. They both had a ball planting their containers and it was interesting to see a group of 13 children who were part of a holiday childcare scheme arrive just after us. Chatting to the adults with them it seems they’re a huge fan of all the craft activities there and regularly take the children in their care there most school holidays. I was really impressed with the finished containers and both now very proudly have them on their bedroom window sills at home. There was the option to add some Easter stickers to the containers at the end, and Master C did so, but LMC claimed she was going for the plain “understated look” instead. 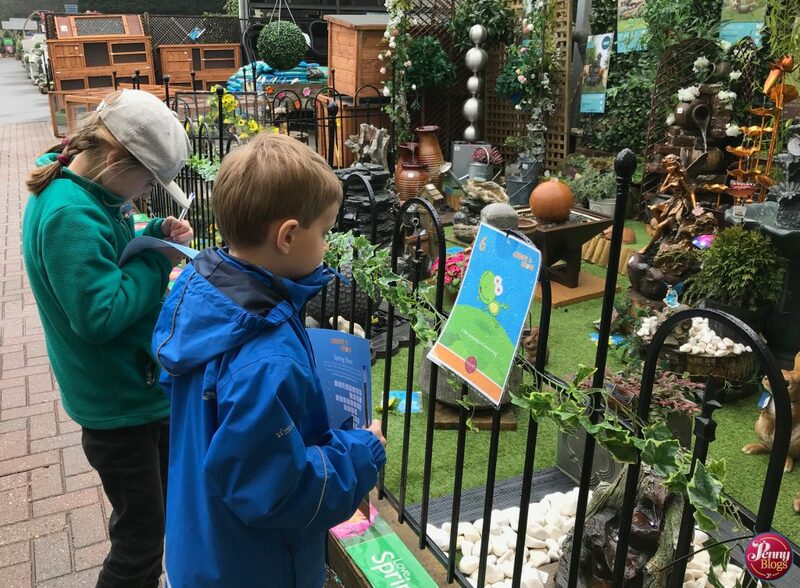 Next up was Master C’s favourite activity – the spring treasure hunt. They had to work their way around the whole garden centre looking for clues which would then give them a final spring word that they could use to claim a gourmet chocolate pizza slice. Whist they both set of enthusiastically I saw the potential in this as a way for me to be able to have a good mooch around the place. The clues themselves were nicely dotted all around, and at a great height for the kids to find them all. As it happens though they were also so taken by some of the things they came across in the garden centre that they didn’t just rush around as fast as I was expecting them to. Both lingered for quite a while by the vast array of water features that you can buy – and decided that I simply had to have a £1000 waterfall one for my tiny back garden – and also the animal statues. If they had their way the garden would have a giant panda sat sunning himself next to said thousand pound waterfall! 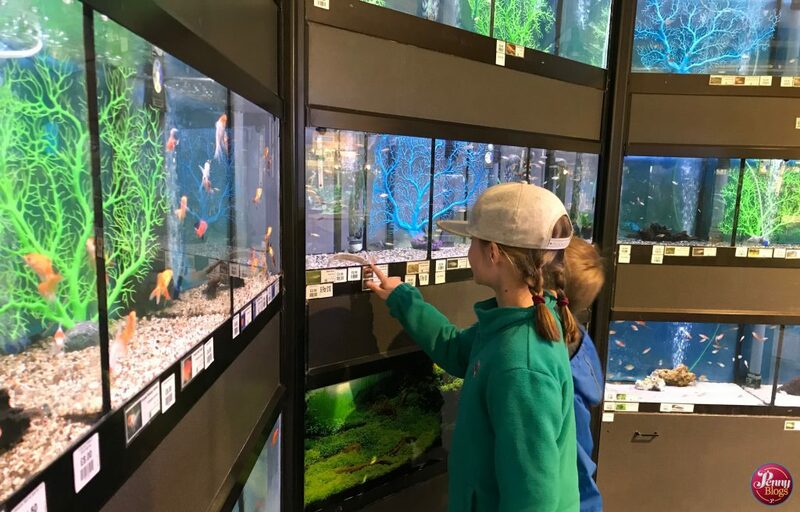 Squires in Stanmore also has a lovely pets and aquatic section, with would be well worth a visit for small children on its own. 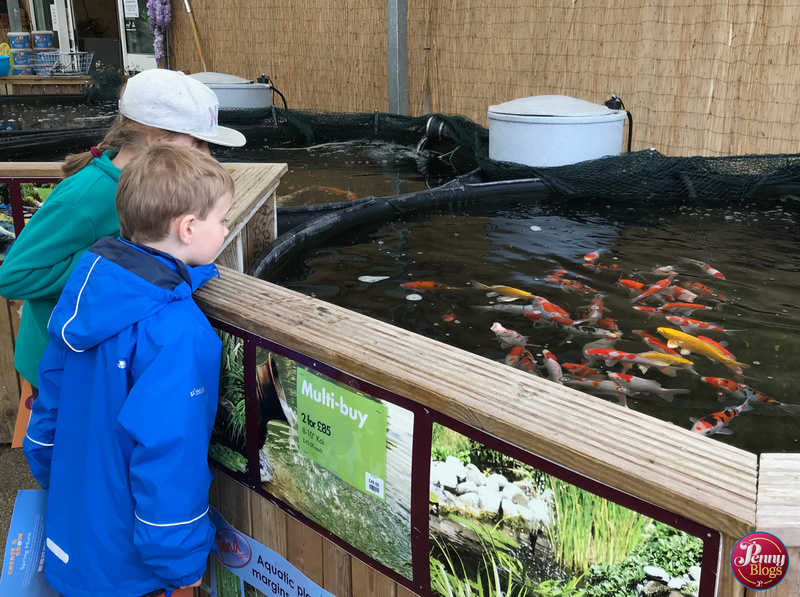 As well as a few outdoor ponds of fish for sale, there were also numerous tanks inside, that were all incredibly clean and full of an array of fish. Tube Stop Baby sat in her pushchair staring at them for ages whilst the older two decided which ones they might like to take home. I managed to linger a while in the gift and home-wares section and it gave me an excellent opportunity to pick up a birthday present for my mother in law. Clues eventually found and magic word exchanged for chocolate we then headed for a well learnt cup of tea in the Squires cafe bar and once again I was incredibly impressed. I was greeted with an array of gorgeous looking cake options to go with my cuppa, and had we wanted to stay for lunch there was also a menu full of specials for us to choose from. 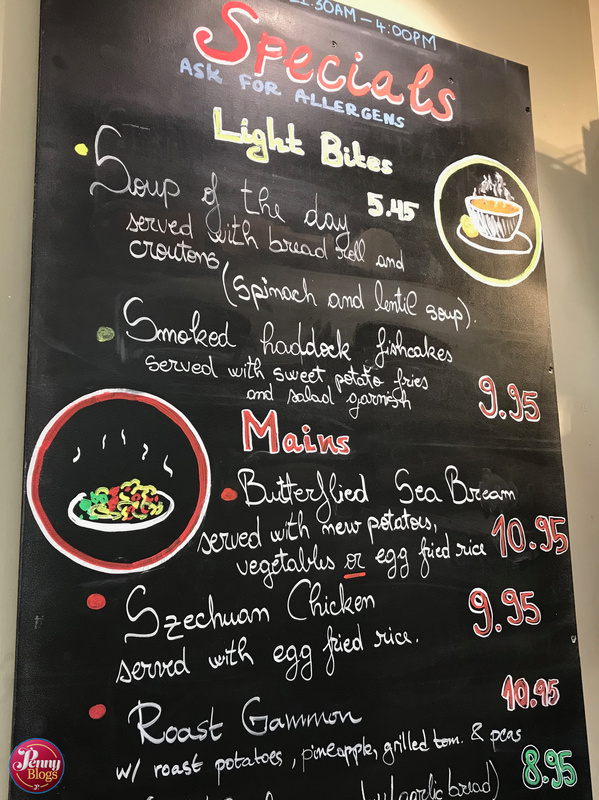 Both light bites and main meals. In the end I went for a delicious homemade scone (that was still warm when I cut into it!) with jam and cream and I can tell you that I’ll definitely be bringing Bonn back for another cream tea there. Sharing a picture of Master C’s creation on Instagram whilst we were sat in the cafe a friend instantly commented saying how they love going there for the kids activities with her son. I think that comment sums it all up really. The kids had a fantastic morning today. I also had a lovely morning too. It was nice seeing both of them enjoy themselves so much, but also learning about how to plant up a container and how to care for their containers once they got them back home. I also really enjoyed going round the garden centre and spotted so many things I would have loved to have bought for my home and garden. It was also so nice to go somewhere where you could get a really nice cuppa and have a sit down afterwards too. Add in the fact that there were spacious baby changing facilities as well and it really was a win-win morning out. 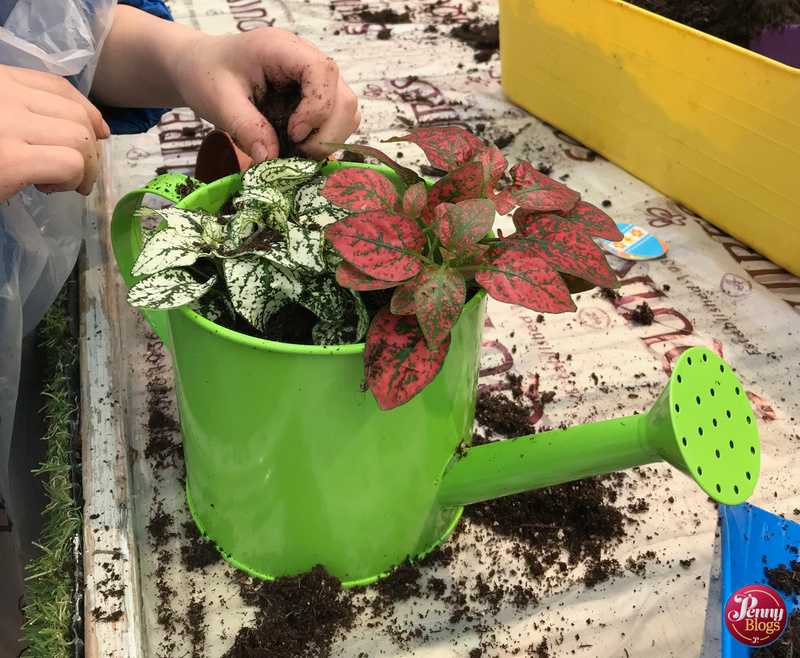 Children can plant an Easter container to take home with them for £6 each, and the spring treasure hunt is £2 per child, and everyone gets a gourmet chocolate pizza slice if they complete it. Both excellent value for money in my opinion. These popular “Create & Grow” activities run from Monday 8th April to Thursday 18th April (weekdays only) from 10am-3pm. There’s no need to book, you can just turn up on the day. The activities run at all Squires Garden Centres except Chertsey. 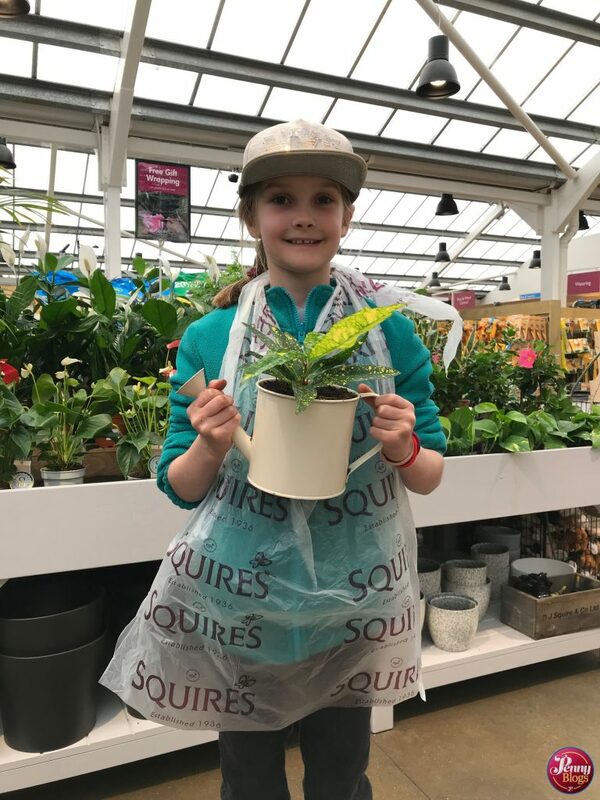 A full list of Squires Garden Centres and where to find them is on their website here. 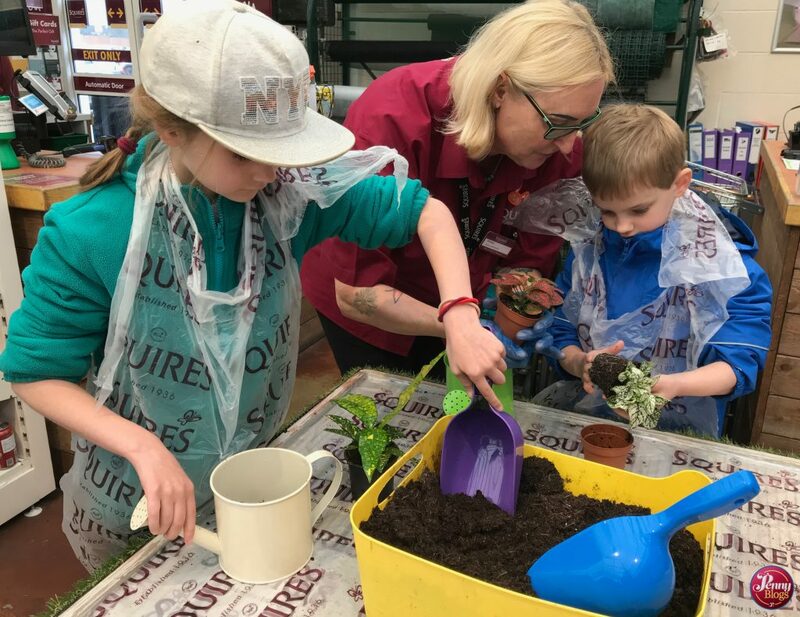 Disclaimer: We were invited as guests to Squires Garden Centre in Stanmore for Little Miss C and Master C to try their Easter holiday Create and Grow activities. We bought our own refreshments in the cafe bar there having liked the look of it and decided to stop off. All opinions remain our own.